WordPress is now the website platform for more than 75 million sites worldwide. You don’t reach a number like that, as well as being lauded as one of the most popular website creation resources, without a lot of evidence of success and positive reviews from users. Why has WordPress grown like this? It’s simple to use, easy to create content for, a snap to do media from images to video, and there are thousands of third party themes and plugins/add-ons to customize sites to your specification. WordPress can be tailored for any business, but with many real estate specific themes, IDX plugins built for adding MLS listings to WordPress and other real estate features available, it’s the perfect platform for the Realtors looking to build a website. In this series, we’ll cover the steps involved in setting up a WordPress real estate site. So, let’s assume that you’re on the edge or you’ve made the decision to use WordPress to construct your real estate website … what next? Let’s talk about domain names first, as you should have yours ready before making the decisions that follow. What do you want in a domain name? First, while you should probably buy the domain name with YourName.com to keep it from others, it’s really not the best choice for your real estate site. While a few people may be searching the Web for you in particular, far more will be searching on phrases related to and including your town names, “homes,” “real estate,” “homes for sale,” etc. And, Google still gives a high SEO value to the main keywords in searches that are included in domain names. So, try to get some combination of words that home buyers are using to find homes (or real estate agents) in your area to come up with your domain name. It doesn’t matter which domain registrar you use, and GoDaddy, Yahoo, and many others all have reasonable prices. Since you’ll be able to “point” your domain name as you wish in the other decisions to follow, don’t worry about the registrar, just lock up your domain name first. Another consideration is that many SEO experts say that multiple year registrations also get some SEO points from Google, so if you can afford it, don’t just get your name for a single year. Ad-free – ($30/year) – While ads that WordPress might place somewhere in your site displays are relatively unobtrusive, most real estate professionals prefer that they not be there. Extra Storage – (starts at $20/year) – If you’re going to be doing some things that work really well for a real estate site, such as including a large number of images, photos, videos and other large file format content, then you’ll likely need extra storage at some point. 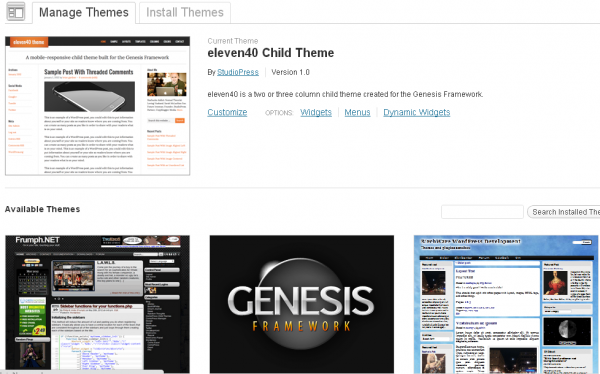 Premium Themes – (starting at $50 each) – While there are around a hundred themes included with the free version, many decide to upgrade to more dynamic themes or themes customized for their business. Just these three items exceed $100, so we recommend using WordPress.org for your real estate site. Sites built using WordPress.org will need to hosted by a third party, such as DreamHost.com. Prices for hosting range from around $4 to $10 per month, depending on the features you add and how long you pre-pay for. Choose from thousands of themes, most free, and custom themes that carry a one-time cost. Install plugins, addon code items that perform various tasks and provide features that make your site easier to manage, better for site visitors, and many other powerful site enhancement tools. IDX is easily installed on self-hosted WordPress sites. Gain other site management, file management and upload tools that aren’t available with the free WordPress.com sites. The average installation process on any of the best hosting providers like GoDaddy, Yahoo or DreamHost is just about five mouse clicks. This five minute install process will result in your WordPress site being ready to customize and add content right away. Of course, it comes with a very basic and boring default theme out of the box, so you’ll want to select and install a theme you like first. In the Manage Themes section of the admin dashboard, you can choose from themes, but more important, you can install your own using a search or you can simply search around the Web for themes that have the style and color scheme you desire. Then it’s a simple upload and one click to have your entire site change to the new theme design. Before you jump on a “real estate” theme, a couple of suggestions. Many theme designers have free and also custom themes at a cost that they have customized for real estate websites. However, when you begin to check them out, notice that a great many of them have at the top a really large image of a home or home’s interior. This is a gross waste of space, and “screen real estate” is quite valuable. Look for themes that minimize the waste of “header” space, giving you more room for content important to your site visitors before they have to scroll down the screen. One more important consideration is the huge growth of mobile browsing. Even if you have to settle a bit for a design that doesn’t WOW you, you should search for themes that are “mobile responsive.” This means that they’ve been designed from the ground up to change the way they display based on the device that’s asking for the page. If you want a theme specific for real estate and are willing to spend a little, be sure to check out our post blog on WordPress Themes for Real Estate. In our next posts we’ll cover how to organize your WordPress real estate site using categories, tags and other content structuring, as well as using plugins to add IDX to your site and capture leads, and how to generate content that will keep buyers coming back to your site – so be sure to subscribe to get the latest updates!